Bags Change your vacuum bag when it’s 2/3 full or once a month, whichever comes first. An overfull bag reduces your vacuum’s ability to clean. Especially if you have allergies to dust and pollen, always use HEPA media bags to maximize your vacuum's filtration effectiveness. Filters Change your vacuum filter(s) every 12 months. If someone in your home suffers from allergies, change filters every six months to help them breathe a little easier. Do not wash and reuse filters except for the filter on the Gem micro hand vacuum. Belts Unless your vacuum has a Lifetime Belt, check your belt periodically for excessive wear and replace it as needed. Refer to your vacuum owner's manual, or take your vacuum to your nearest authorized Riccar dealer for belt replacement. 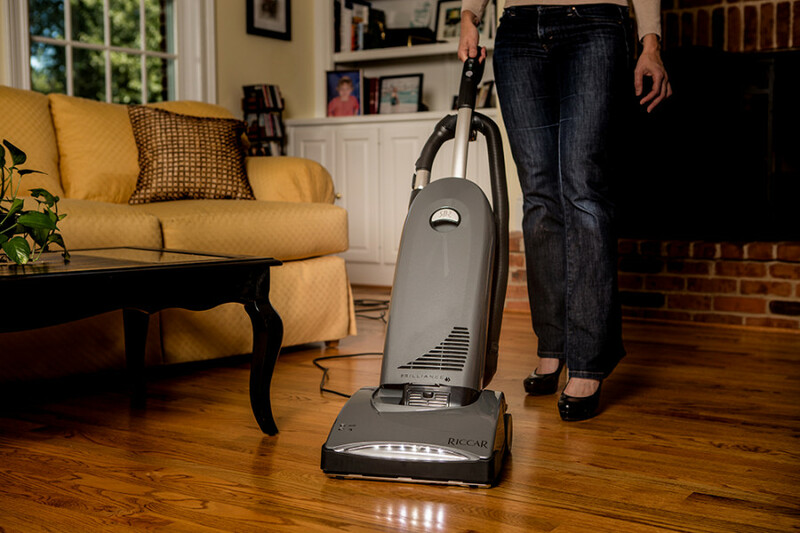 Brushroll Check your brushroll periodically by turning the vacuum over and ensuring sure the brush turns freely. Clean out thread, hair, and string by gently cutting it with a seam ripper or small scissors. Power Cord Avoid running over your power cord. This is a top reason for cord replacements, and it is not covered under warranty. General Tips Always use Genuine Riccar replacement parts, including bags, belts and filters. Makeshift parts can cause permanent damage to your vacuum and will void your warranty. Riccar bags and filters are made specifically for the best fit and performance of Riccar vacuums.